If you own a business, you are more likely to make a lot of purchases every month. Unlike someone who buys items for their home kitchen without making a serious purchase plan, yours will be the opposite. You will need to spend the time and the resource necessary to create a purchase order for your business so that you end up spending correctly. Preparing and making purchase orders will enable you to spend business’ money right. Here are Order Forms that you can use. 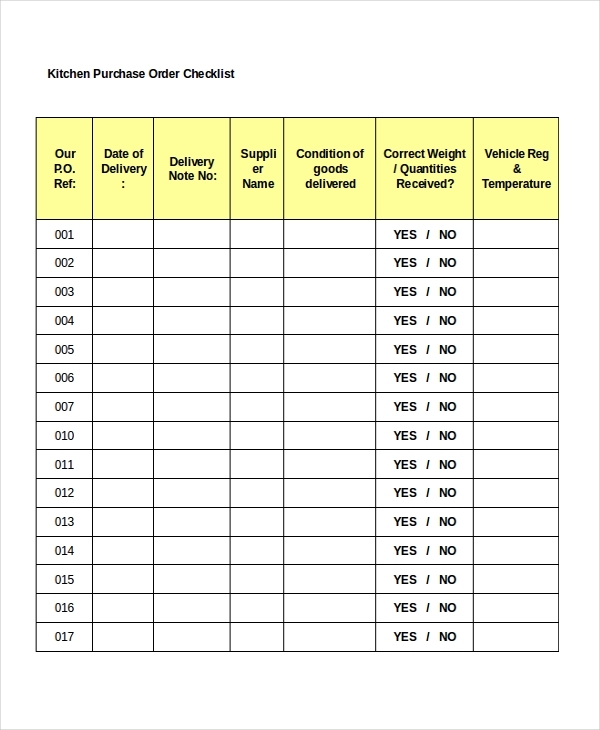 The excel file was designed to help you make your ordering process simple. All you have to do now is to download the file, and then use it appropriately to make your purchases order. This form has all the information you need to start making your purchases. Apparently, all you have to do is to download the file, and then use it to place your order whenever you need to buy something for your business. 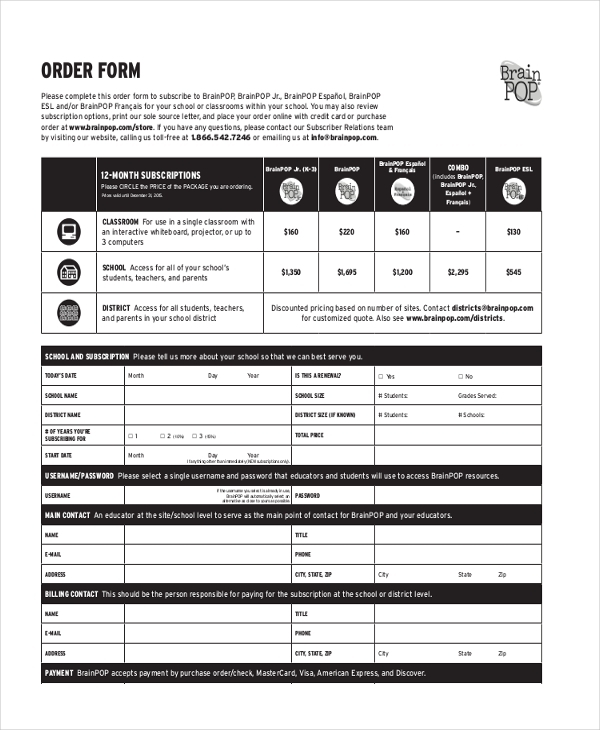 You may also see Sample Order Forms. This sample form has a lot of spaces that require filling. It is more detailed, which makes it quite easy for you to make your order information as precise as possible. The information you provide will help you to get the exact goods that you want. This form took some hours to create, and it is available for free download. You can use it to make a purchase order for any size You can also see Sales Order Forms. The agreement form allows you and a seller to make a business deal. It may be a long-term engagement or just a short-term business. At the end of the day, the both of you will have to stick to the agreement of the deal. 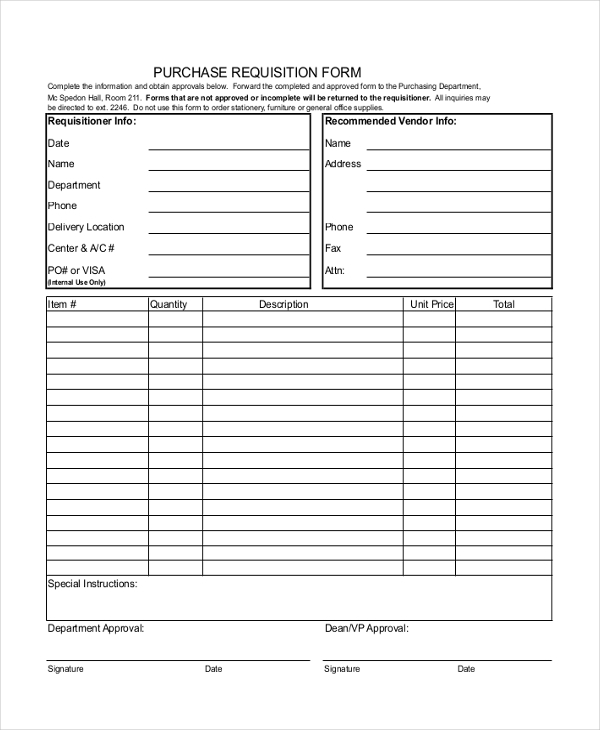 If you want to spend money in the best way possible, you should consider using the purchase order form. 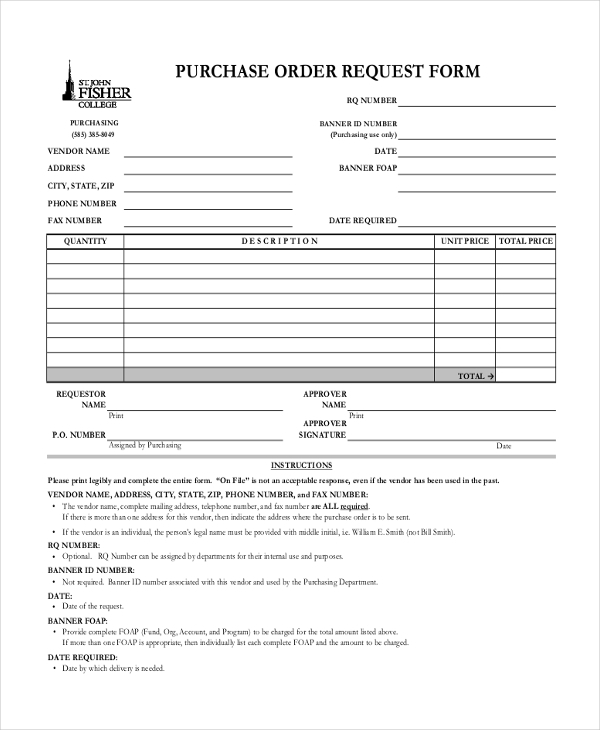 Use this form to make purchases orders where businesses accept purchase orders. You may also see Product Order Forms. 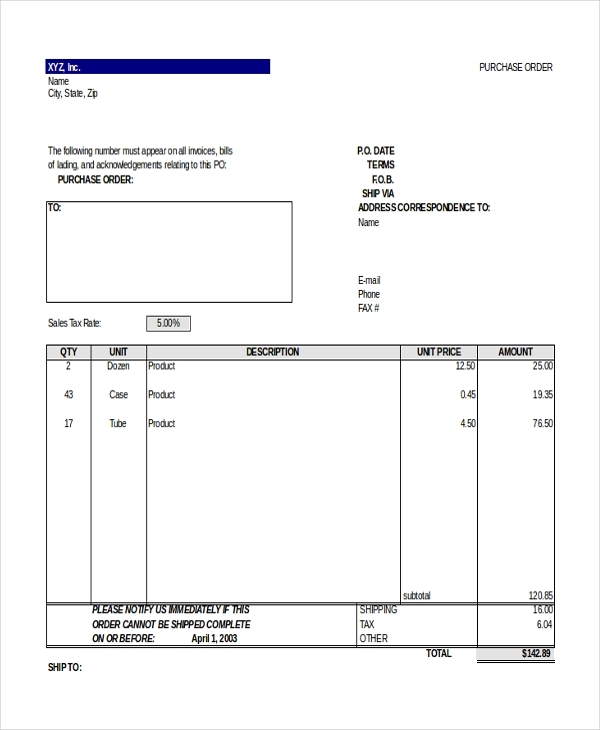 Do you know that you can get a purchase order template for free? Yes, all you have to do is to download this sample file and then use it as your purchase order form. It is important to remember that purchase order forms like this one make managing real estate sales quite easy. All you have to do is to fill out the form and then use it as an order request. 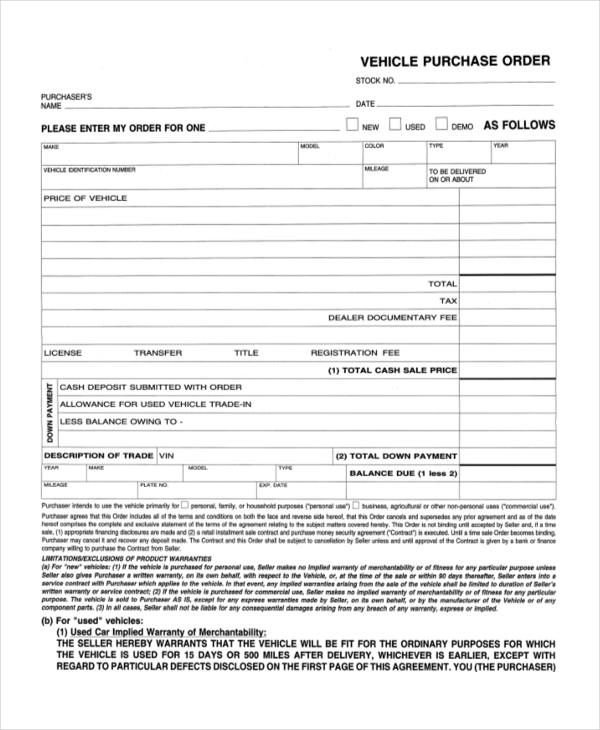 Anyone who wants to buy a vehicle for their company or business can use this order form to place an order for a vehicle. Fill out the relevant details, and then use the information as a guide for the buying process. 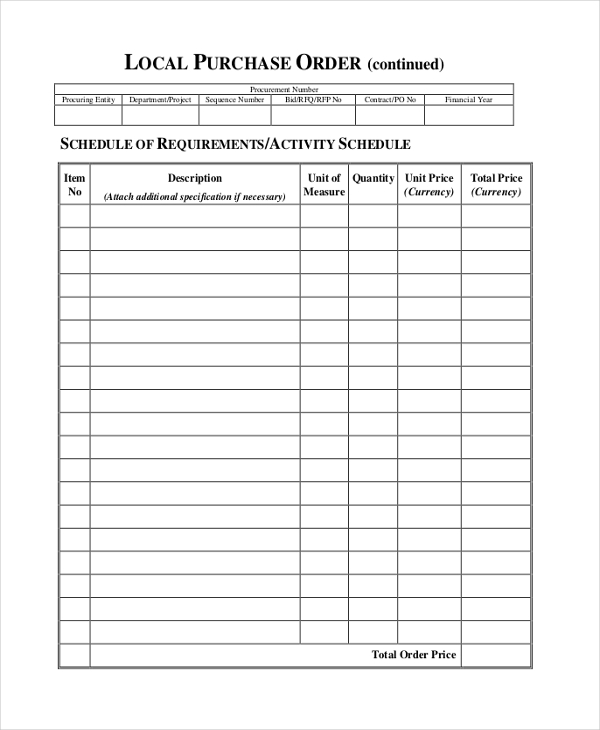 You may also see Purchase Order Request Forms. 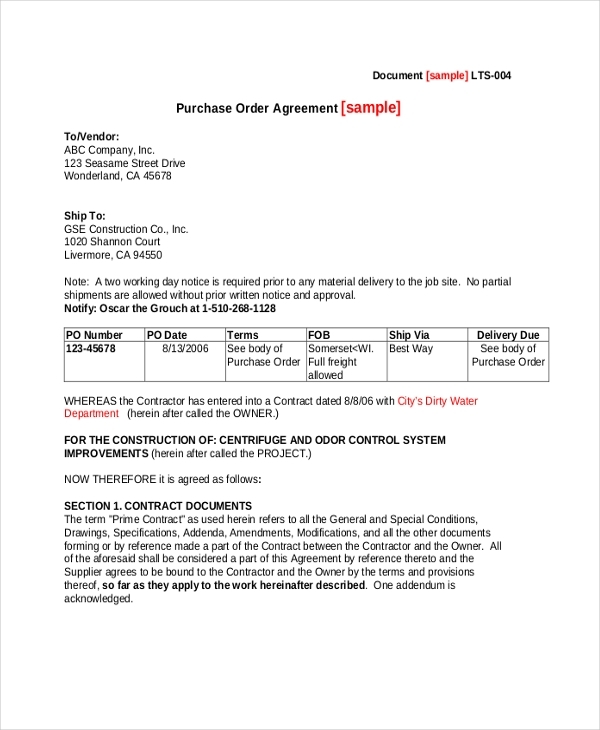 Why Should we Use Purchase Order Forms? The forms have already been built for you. That means you do not have to bother doing any design yourself. So, you can just download the files and get straight to business. The content (text) of the document is up to the standard. That means you do not have to worry about editing the text on the page. Finally, these files are print ready. You can customize the templates, but that is not quite necessary. How to use the Sample Purchase Order Forms? Pick a sample form that you want to use. The type of order you want to place will depend on the order template to use. Submit your order to the business you would like to transact with. At the end of the day, these sample forms help you to do at least two things. First, they save you a lot of time. You can spend the time doing something else. Secondly, you save a lot of money. At least, you won’t have to hire a designer to do the design job for you, for you can get these files for free. You can also see Order Confirmation Forms.